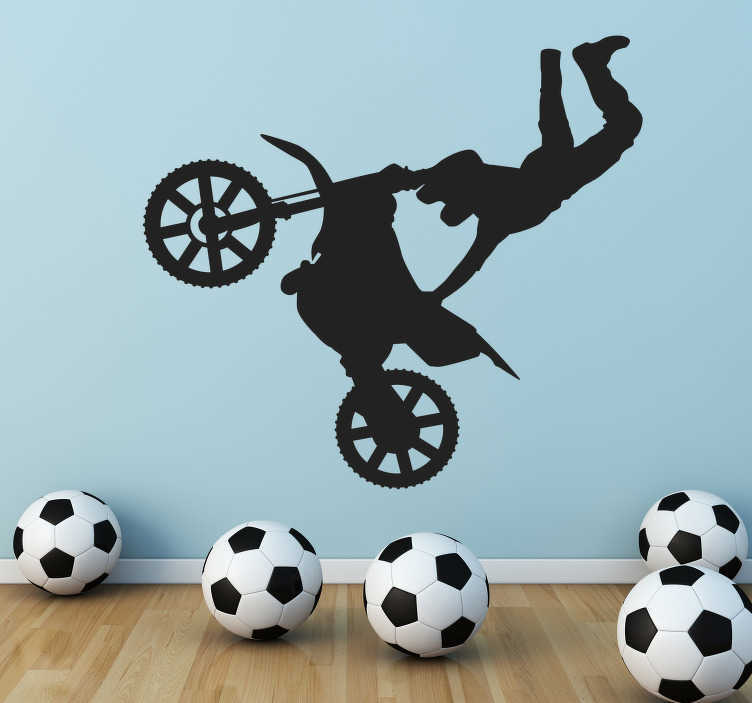 Wall Stickers - Silhouette illustration of a motocross biker doing an acrobatic jump. Available in various sizes and in 50 colours. Decals made from high quality vinyl, easy to apply and remove. Decorate walls, appliances, devices and more.